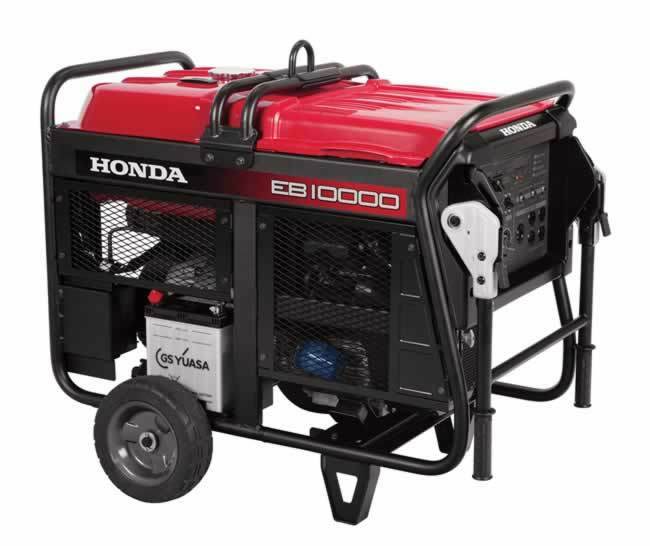 The Honda EG5000CL1 Generator delivers 5000 watts of power and is mounted in a tough steel cage mean to be mounted in a vehicle or secured on the ground. $1,795.00 6-Point Service Price (Pro-assembly with Free gas/oil, Safety & Maintenance Demo, $30 value 1st Break-In Service, Lifetime oil change on 4-cycle gear). Pre-order and get In-store pick-up. $1,749.95 Cash Price, in-store pick-up (Pro-assembly with Free gas/oil, $30 value 1st Break-In Service, Lifetime oil change on 4-cycle gear, and safety & maintenance demo).